Killer whales are just one of three species – we're one of the others - that continue to live long after they've stopped reproducing. But scientists still don't know why these three alone evolved this unusual menopausal trait. In a bid to find out, NERC has agreed to fund a project worth nearly £500k to look at why killer whales stop reproducing a third of the way through their lives, dedicating the rest of their lives to protecting and caring for children and grandchildren. The researchers suspect that the menopause, which the whales experience in their 30s or 40s, is related to the animals' social structure. "Killer whales have a very unusual social system whereby sons and daughters don't disperse from their social group but instead live with their mother her entire life. As a female ages she shares more genes with group members, and theory predicts that older females can benefit more from helping their offspring and grand offspring than reproducing themselves," says Dr Darren Croft of the University of Exeter a lead investigator on the study. "The situation with killer whales is quite different to humans. 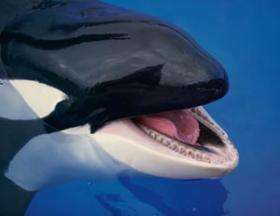 When a killer whale couple reproduces, the male will go to another group to mate with a female there. But, unlike the human population, he will later return to the group where his mother is. So in whales we have different ideas for why older females maybe have more pressure to look after their offspring, and grand-offspring," says Dr Dan Franks of the University of York a lead investigator on the study. To discover why the menopause developed in the whales, the team will use information collected over the last 30 years about two populations of killer whales with over 550 individuals between them. The unique dataset includes birth and death dates as well as more complex data, like the genetic and social relationships between the different animals. "One way we will approach the analysis of this data is to use a method similar to insurance companies where they give you a quote on life insurance based on the suspected survival of an individual. If a human smokes, is old, or is a heavy drinker then their insurance premium will go up as their chance of survival is less," explains Croft. "We can ask, since this calf's mother or grandmother is alive, how does that affect its chances of survival." From preliminary work the scientists expect to show that having a female around who no longer reproduces greatly increases the chances of children and grandchildren surviving. In addition to the benefits to children and grandchildren, theory predicts that competition over resources may also have contributed to the evolution of menopause. "There is often a conflict over resources between offspring of different generations," Franks says. "If an older female gives birth at the same time as one of her daughters then the two calves will be in competition. Theory predicts that the calves of the older mother should lose out in this competition. So it makes sense for the older female to give up her reproductive rights and instead help raise the younger generation's offspring." They will then look at how a female who has undergone menopause helps offspring survive. They suspect it is because older females take a leadership role in the social group and have more knowledge on where and when food is available. While human menopause is fairly well understood, the scientists hope to be able to assess their findings against the human menopause and provide greater insight into this unusual animal trait. "I wouldn't be surprised if through this project we learn more about the evolution of human menopause. Much of what we're proposing is inspired by research on human menopause, and we expect our research to lead to new ideas that will allow us to ask more questions about human evolution." says Franks. No, oceanic warming is not due to menopausal orca hot flashes. Nice try, but no points. You receive 2 points for an excellent troll post. £500,000 seems allot for what sounds like an archival data study--unless it is much wider in extent that described above--or actually involves some direct research out on the sea waves on orcas.